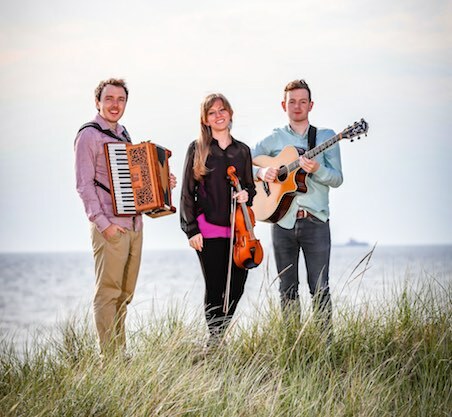 Dave Curley, Tadhg Ó Meachair & Joanna Hyde form an exciting and dynamic transatlantic trio that presents a rousing blend of Irish and American folk music, having already won over audiences on both sides of the ocean. The group is made up of Dublin’s Tadhg Ó Meachair (Goitse), Galway’s Dave Curley (SLIDE) (RUNA) and Denver, Colorado’s Joanna Hyde (The Hydes), and features a mix of Irish and American folk music and song – both traditional and newly-composed – presented in an energetic and engaging manner. Their performances strike a tasteful balance between the stories found in ballads across both sides of the Atlantic and the respective instrumental music traditions of these places.